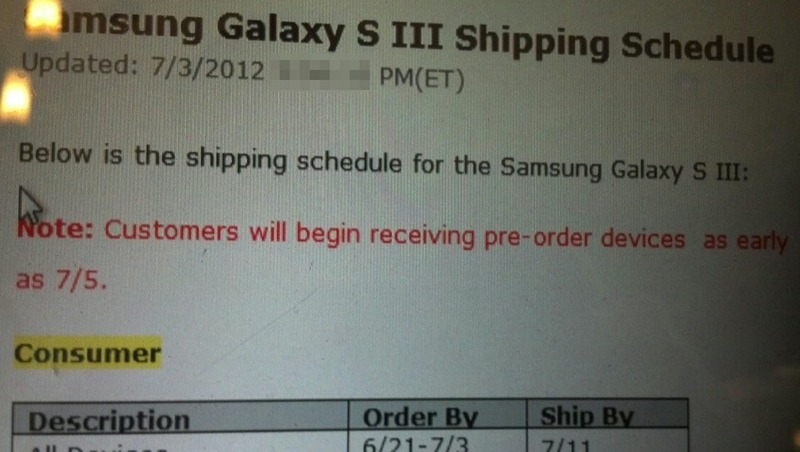 If you pre-ordered the Samsung Galaxy S3 from Verizon, you can check your order status to find out your expected shipping date. For many of us, the date shows as 7/9, but for some it could be 7/10 or even 7/11. With a launch date now set for July 10, some of you have already mentioned being a bit put off by the idea that you may not receive yours until the day after the phone is made available. Well, what if they started shipping long before then? According to Verizon, some pre-orders could arrive as early as July 5, this Thursday. We have no idea if this means all, some or just a handful of lucky pre-orderees, but that should make at least a few of you happy. Post-4th of July present? 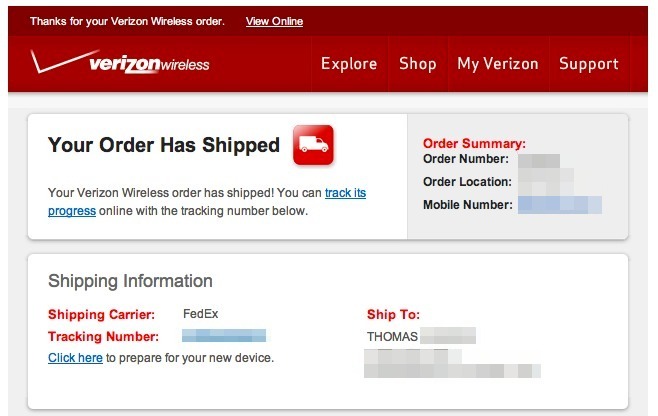 Be sure to let us know if you receive a notification that your device has shipped. Update: Customers are starting to receive shipment notifications with an arrival date of July 6.